Many of our grandparents can remember a time when they lived without any plastics. They managed to drink beverages on the go, carry groceries, and package products entirely with materials that were either compostable or completely recyclable. Since then, plastics have become ubiquitous. They’ve enabled great progress and convenience, but we’re only starting to understand the unexpected environmental consequences. Yesterday I was strolling through Target and I overheard a little girl lecturing her dad. “Daddy, do you know how long that will last?! My teacher told us that Styrofoam will last for 5 million years! You shouldn’t buy that.” Passing by that little scene put a smile on my face, and got me thinking about the fate of that disposable plastic product. How long would it last? I’m sorry to disappoint you, but the decay rate of most plastics is essentially unknown, because they have only been around for 70 to 80 years. During that time, no decomposition has been measured, because no organisms have evolved to effectively break plastic bonds. Typically cited rates for plastics like EPS to completely decompose are in the hundreds of thousands of years, but no one really knows. The average american throws out 185 pounds of plastic every year. That’s more than I weigh! It’s quaint to imagine all of this plastic collected into one gigantic mass, out of sight, out of mind. But the scary reality is that this waste is being spread all over. At best, it’s ultimately mixed amongst many other misplaced resources thrown “away” into a landfill. But all too often, bit-by-bit, plastics are getting into the natural environment. When you walk down the sidewalk and see a discarded plastic spoon, realize that it will outlive you. Imagine if one day you learned that in your pantry of food, some of the food wasn't food at all... it was actually poison. But it still all looked the same to you, so you couldn’t tell what’s food and what’s poison. That would be pretty scary! 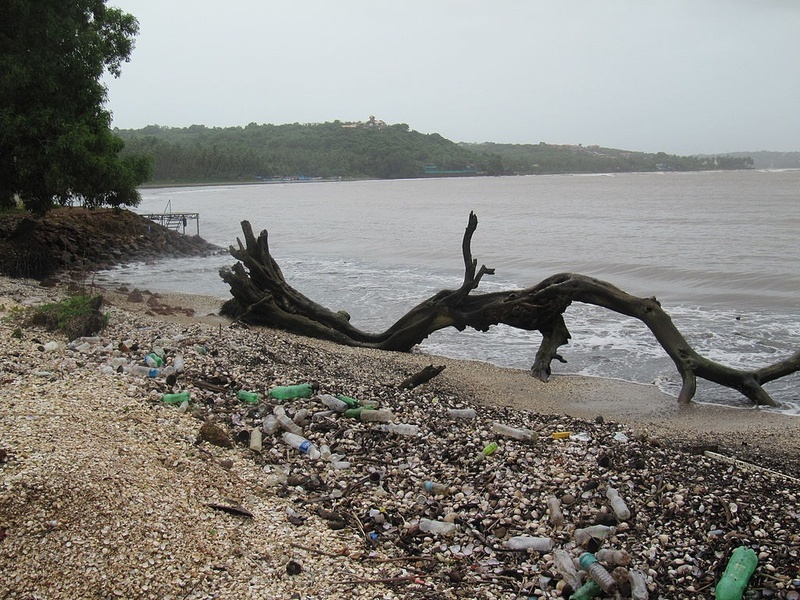 When plastics get into the environment, that’s the situation faced by many organisms, particularly those lower on the food chain. In the past, everything around them was either food or harmless. But today, bits of plastic are in their food pantry, and they can’t tell the difference between healthy nutrients and harmful plastics. In some areas of the Pacific Ocean Gyre, there are 6 times more bits of plastic, than bits of plankton. It’s getting into the food chain, and wreaking havoc. Plastic pollution is a long-term ecological emergency. It’s very important to reduce our usage, recycle, and fight pollution. But ultimately, we need to shift to materials that fit within Earth’s evolved ecosystem. I don’t think we can afford to wait hundreds, thousands or perhaps millions of years for something to evolve to eat conventional plastics. At Ecovative, we’re committed to producing materials and products that will compost just like a tree branch. Coming up next in this series will be posts on our testing for backyard compost and also at industrial composting facilities.